A chip-free slitting process - Using the sheet metal cutters, you can cut without burrs and thermal influences. Clear view of the work surface and cutting line - A clear view allows you to cut accurately according to the scribed line, in any position – even upside down. Unbeatable performance on curves - The shears are designed for the highest maneuverability, even on tight, difficult radii. Multi-edge cutter for cost-effective work - The blades are simple to change and can be turned several times. Handy battery machine up to 0.063 in. 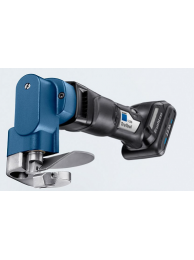 With the Trumpf TruTool S 160 10.8 V battery machine, you..
For perfect cutting results in thin sheets With the TruTool S 160, you are perfectly .. 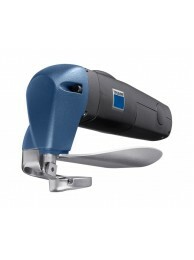 Unique shear with rechargeable battery up to 2.5 mm. The TruTool S 250 Li-ion rechargeable battery 1.. Anything but average. 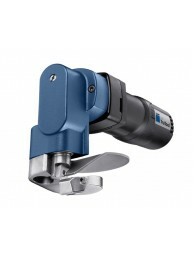 The Trumpf TruTool S 250 is a robust machine, perfectly suited for p.. Adjusted in the blink of an eye. 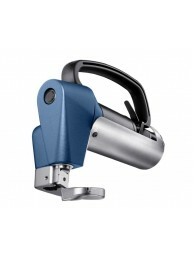 The TruTool S 350 features cutter height adjustment witho..
For heavy-duty tasks. 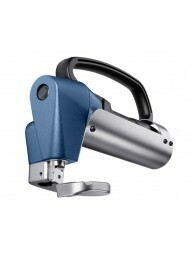 With the TruTool S 450, you can cut sheet thicknesses up to 0.18 inc..